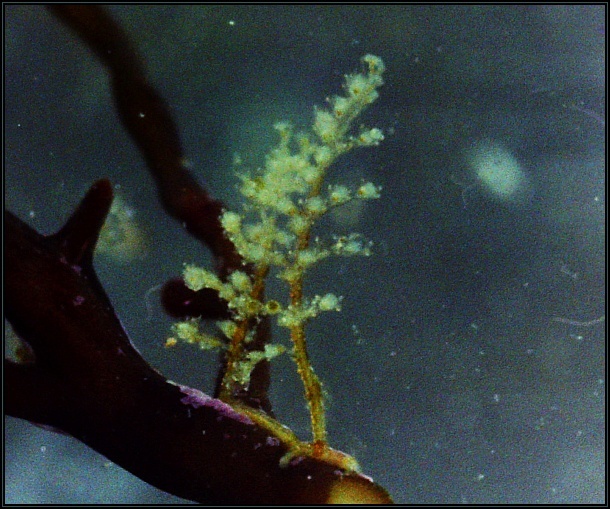 Aglaophenia octodonta is a small to medium sized hydroid found growing on Cystoseira sp. 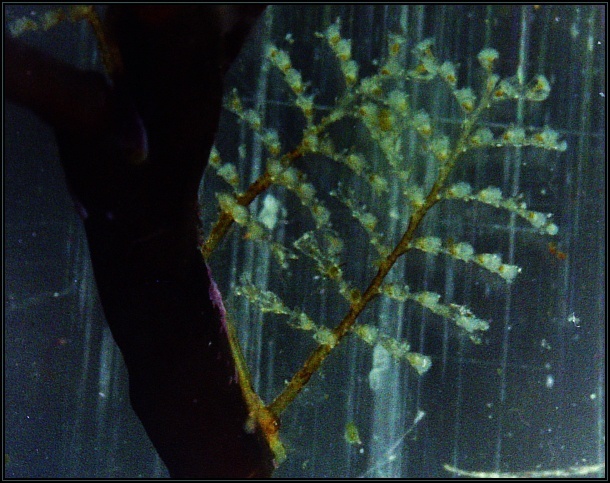 as well as on Aglaophenia kirchenpaueri in Maltese waters. 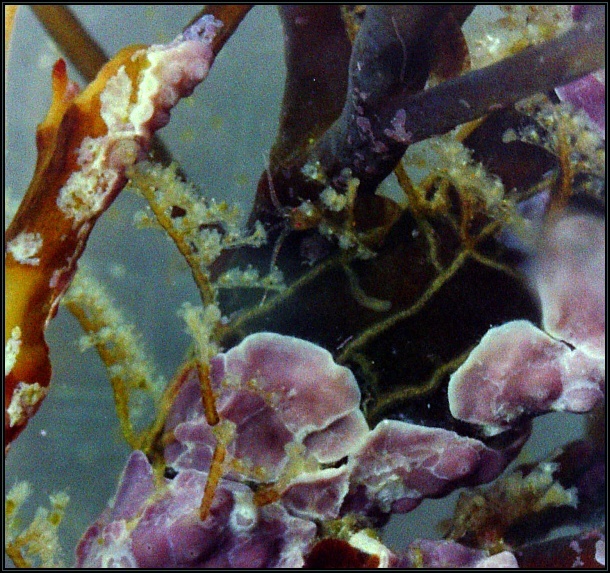 It is considered common in the Mediterranean and grows in relatively shallow water. This specimen was identified and described in detail (p. 185 & Fig. 3j) in the following paper published (2013) by Soto Àngel and Peña Cantero.